Jack Ashford-Just Productions Volume 2. By 1966, Jack Ashford was a familiar face in Detroit’s music jazz scene. The Philly born musician had been a member of Marvin Gaye’s touring band before he became a Funk Brother. Through meeting the Motown musicians, Jack Ashford decided to base himself in Detroit. Soon, he became part of Motown’s legendary studio band The Funk Brothers. Before long, Jack Ashford’s trademark tambourine sound became a staple of Motown recordings. However, Jack Ashford was more than a tambourine player and studied arrangers, engineers and producer and soon, was able to learn from them. Jack Ashford was also a talented songwriter. Essentially, Jack Ashford was a musical all-rounder, which made him perfect for Pied Piper Productions. His partner would be Mike Terry. Mike Terry played baritone saxophone first in Popcorn Wylie’s Mohawks, then with Joe Hunter’s band. Like many musicians, he gravitated to Motown, which is the sixties, was one of the most successful labels. He was part of the touring and studio bands, and his trademark sound features on numerous Motown recordings. Despite being on Motown’s payroll, Mike Terry, like other musicians, including Jack Ashford, felt the fees they were paid weren’t enough. So the pair left Motown. Having left Motown, Jack Ashford and Mike Terry briefly worked for Ed Wingate’s Golden World label. Mike Terry with George Clinton and Sidney Barnes, formed the Geo-Si-Mik songwriting and production partnership. At the same time, Jack Ashford and Mike Terry formed a songwriting and production partnership. One of their songs, Lonely One, for The San Reno Strings album on Ric-Tic came to the attention of Sheldon “Shelley” Haines. He realised this was a partnership to watch. He was right. Jack Ashford and Mike Terry head to Jack’s hometown Philly, to produce I Can’t Change for The Sensations with Yvonne Baker. This was their first production, which was released on the Junior label. Later in 1965, the pair produced Joe Douglas for the Playhouse label. With Bobby Martin penning the B-Side, this was a single that was has made in Philly written all over it. Ironically, it wasn’t in Philly that Jack Ashford made his name as a producer. Instead, it was in Detroit, where with Mike Terry they formed Pied Piper Productions. The pair founded their production vehicle in 1966. For their recordings, Pied Piper Productions borrowed members of The Funk Brothers. Similarly, some of Motown’s top arrangers would work on recordings by Willie Kendrick, Lorraine Chandler, Mikki Farrow, Tony Hester, Nancy Wilcox, Rose Batiste and September Jones. Despite this all-star backing band, the Pied Pier Productions didn’t enjoy the commercial success they deserved. This would have important ramifications for Pied Piper Productions. By 1967, Pied Piper Productions had closed its doors for the final time. After the company ceased trading, Mike Terry continued to work for many other labels. His sound was constantly in demand. There was it seemed, no shortage of work for Mike Terry. It was the same for Jack Ashford and Shelley Haims. Both Jack Ashford and Shelley Haims worked at a number of Detroit’s smaller labels. This he did, using his latest production vehicle Just Productions. It was kept busy, with Jack Ashford produced singles at Awake, Buddha, Jay-Walking, Premium Stuff, Sepia 1, Sepia 2, Soul Disc, Soul Dimension and Triple B. This included for artists like Eddie Parker, Al Gardner, Billy Sha-Rae, Softouch, The Four Sonics, Lorraine Chandler and Sandra Richardson. They all feature on Jack Ashford-Just Productions Volume 2 which was recently released by Kent Soul, an imprint of Ace Records. LA born Sandra Richardson started off singing gospel up unit 1971, when she crossed=over after meeting Jack Ashford. He became her manager, producer and cowrote songs Sandra Richardson. This included After You Give Your All which she wrote with George Rountree and Jack Ashford. He took charge of production on After You Give Your All which was recorded in 1974 but belatedly made its debut on a Kent Records Anniversary Special single in 2016. Its reminder af a truly talented souk singer Sandra Richardson who opens Just Productions Volume 2 on a high with After You Give Your All. Softouch was founded in 1966, but never released a single until their new manager Larry Maxwell introduced them to Jack Ashford. He produced After You Give Your All (What Else Is There To Give) which was penned by Sandra Richardson, George Rountree and Jack Ashford and released on Prodigal in 1976. It’s memorable and melodic orchestrated track from Softouch and their finest hour. Singer, songwriter, musician and producer Jack Ashford contributes two unreleased songs to the compilation. This include the beautiful heartfelt ballad Let Me Take Care Of Your Heart and the dance track This Ain’t Just Another Dance Song. 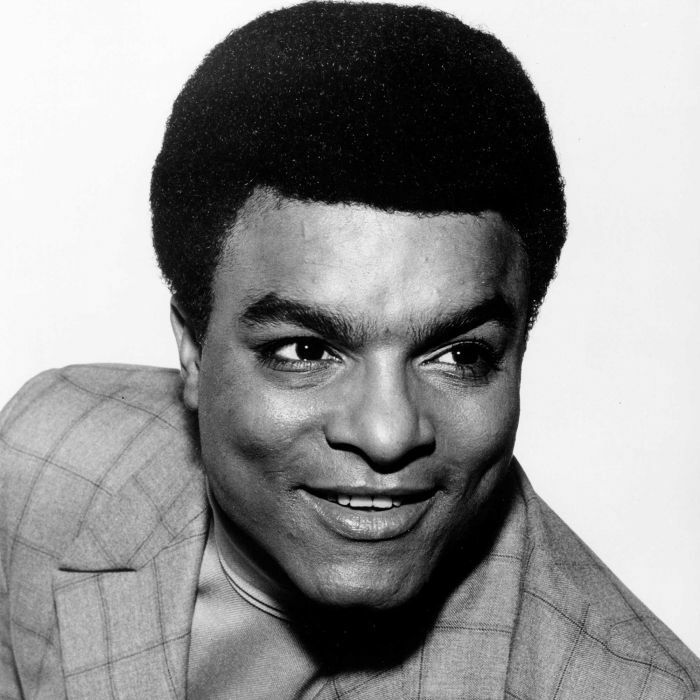 Cecil Norman Jr wrote the beautify needy ballad How Long Has It Been Since You Had A Love Affair which he recorded with producer Jack Ashford in 1975. Sadly, this hidden gem was never released and makes its debut on Jack Ashford-Just Productions Volume 2. 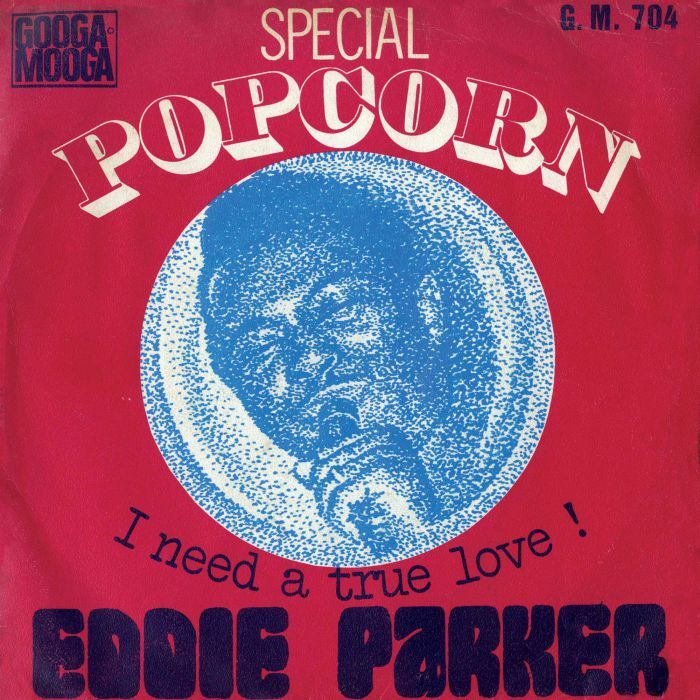 There’s three songs from Eddie Parker on Jack Ashford-Just Productions Volume 2, including the unreleased version of Crying Clown. It was originally the B-Side I’m Gone which was released on Aware in 1968. Crying Clown is a beautiful soul-baring ballad where Eddie Parker sounds like Sam Dees. The dancer I Need A True Lover was released as singe on Triple B on November 1969 and features a needy vocal. I Love You Baby was released on the producer’s Ashford label in 1970 and later became a favourite in the UK Northern Soul Scene. 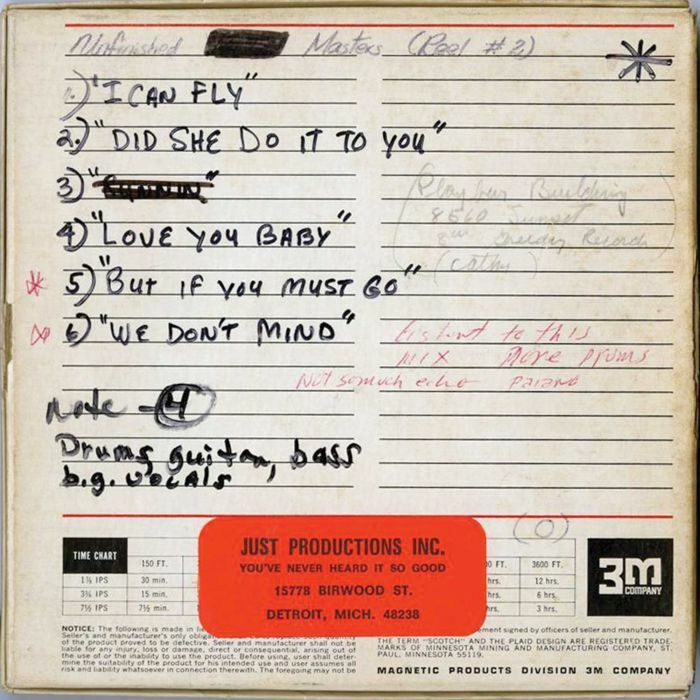 Don’t Leave Me Baby was recorded by Lorraine Chandler for Just Productions of fifty years and made its debut on Jack Ashford-Just Productions Volume 2. It features a vocal that is needy, emotive and full of hurt. Sandra Richardson released Stay Here With Me as a single on the Inter/Soul label in 1974. 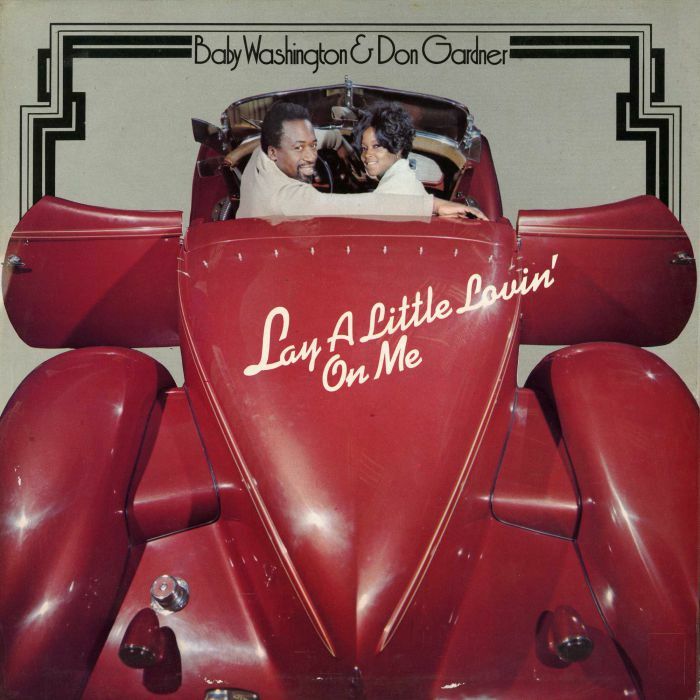 Tucked away on the B-Side was Don’t Let Me Down web was written by Lorraine Chandler, Jack Ashford, Juanita Weatherby. Don’t Let Me Down finds Sandra Richardson combining soul and gospel as she delivers a heartfelt and hopeful plea. 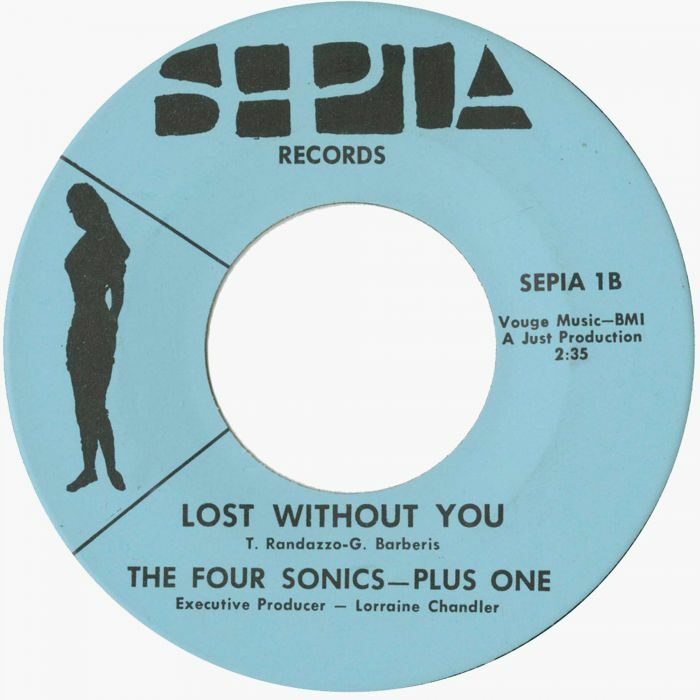 The Four Sonics were one of the first groups that Jack Ashford worked with when arrived in Detroit. By May 1968 The Four Sonics were signed to The Greatest Love, On the B-Side was Easier Said Than Done a string-drenched ballad that is a true hidden gem. When Watch Yourself was recorded by Al Gardner, the baking track used was from Willie Hendrix’s Pied Piper sessions. This Jack Ashford and Mike Terry composition was originally recorded by Tony Hester, while Al Gardner draws inspiration from James Brown as funk and soup melt into one. Alone Again was written by Brenda Cook, George Rountree and Jack Ashford who took charge of production in 1976. Forty-two years later Alone Again features on Jack Ashford-Just Productions Volume 2. It features a joyous, hopeful and soulful vocal from Brenda Cook. 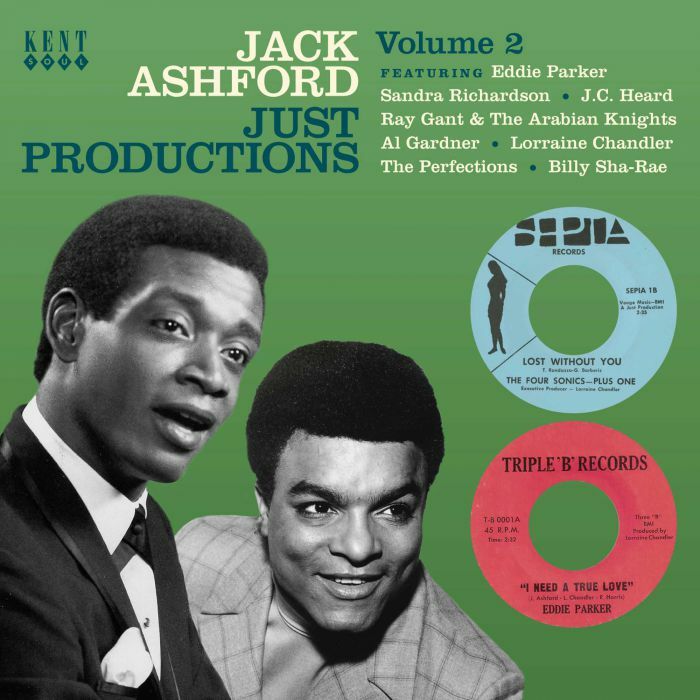 Closing Jack Ashford-Just Productions Volume 2 is Bobby Womack’s I Found The One which was covered by Billy Sha-Rae in 1970. It was released as a single on Spectrum and finds Billy Sha-Rae giving thanks for the love he’s found. Somewhat belatedly Jack Ashford is getting the recognition that he so richly deserves. This includes his work with Pied Piper Productions and Just Productions. In both cases, Jack Ashford worked with some of Detroit’s most talented musicians, arrangers, producers and songwriters, and was responsible for music that’s variously beautiful, dramatic, melodic and memorable. It’s also soulful, funky and dance-floor friendly. That’s why many of the songs on Jack Ashford-Just Productions Volume 2 have found an audience within the UK’s Northern Soul scene. They’re favourites of DJs and are also appreciated by discerning connoisseurs of soul. They’ll welcome the release of Jack Ashford-Just Productions Volume 2 which looks back at the career of the multitalented Jack Ashford. ← JOHN COLTRANE-BOTH DIRECTIONS AT ONCE: THE LOST ALBUM-VINYL.